Columbus Pista Leggera 1.5” fork for an improved control. Profiled stays for maximum stiffness. The most versatile Cinelli track frame. Used by the Team Cinelli Chrome and independent riders all over the world. The right frame to bank in velodromes turns and tackle tight bends of the most demanding criterium urban races, the most sought after prize of the Red Hook Criterium since 2010. 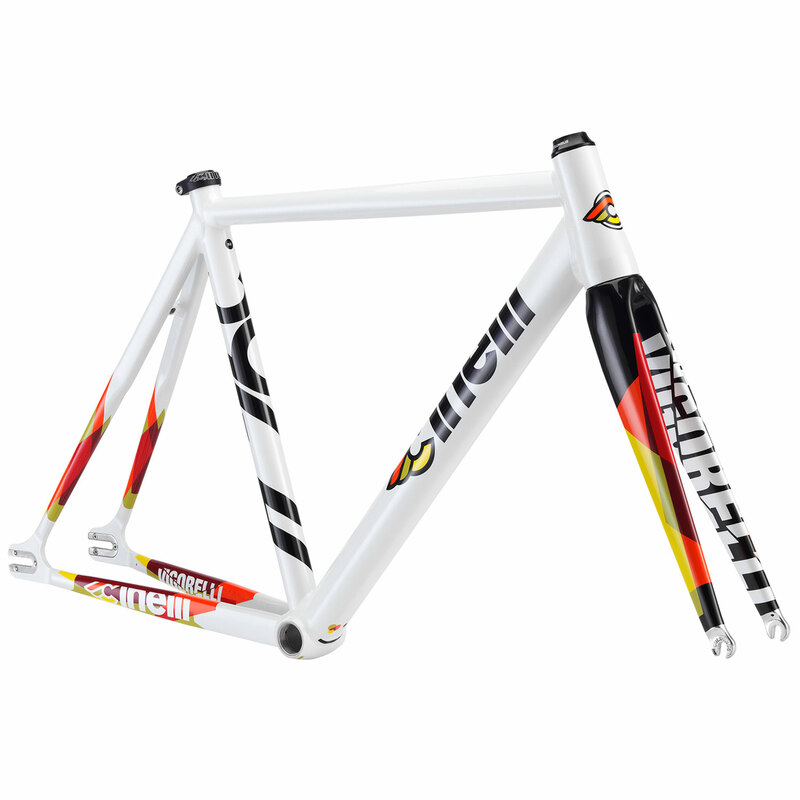 To improve competitive efficiency, the Vigorelli frame-kit has been updated with certain modifications that the athlete will immediately notice on the track.